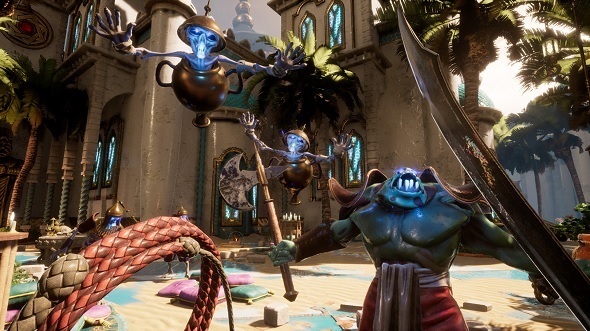 Free games: Win a Steam key for new FPS by senior BioShock devs City of Brass! 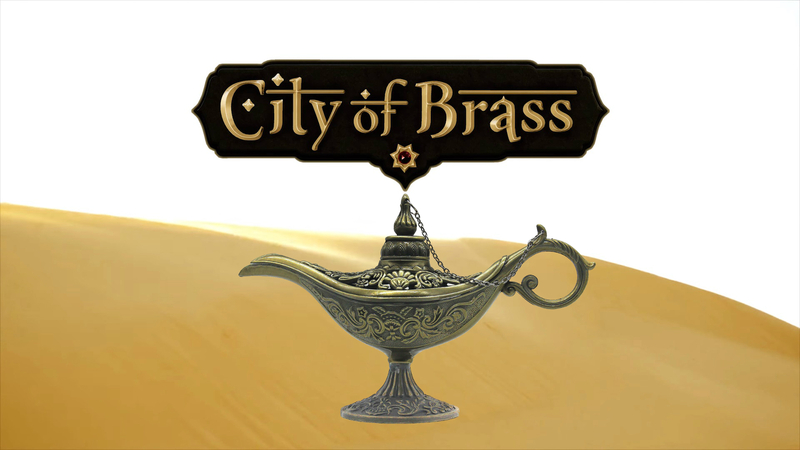 The more you hear about City of Brass, the less familiar a concept it seems. Yes, its levels are procedurally generated – but they’re explored in first-person. Yes, it’s a melee fighter – but that fight is informed by the curved blades and sense of adventure found in Arabian Nights. This highly unusual action game has sprung, like an ancient trap, out of early access today. And we’ve got Steam keys and prizes to give away. You enter the city in the sands as a thief, working your way to the heart of a grand, decadent metropolis. You’ll swing your scimitar, crack your whip, and bound across pits designed to keep out intruders. As in the original Prince of Persia, fittingly enough, you’re racing against the clock the whole time, collecting as much treasure as you can. There’s a rhythm to City of Brass, you see, there in the flow of movement and the interplay between your two weapons. The whip is perhaps emblematic of the game’s hidden depths: it can be used not only to stun, trip, or disarm your enemies, but to pick up items and traverse the environment too. If you’re interested in bagging one of our 15 Steam keys – or, for US-only entrants, one of ten promotional magic lamps with the game included – then complete one or more of the actions below. Please read our terms and conditions before you enter.